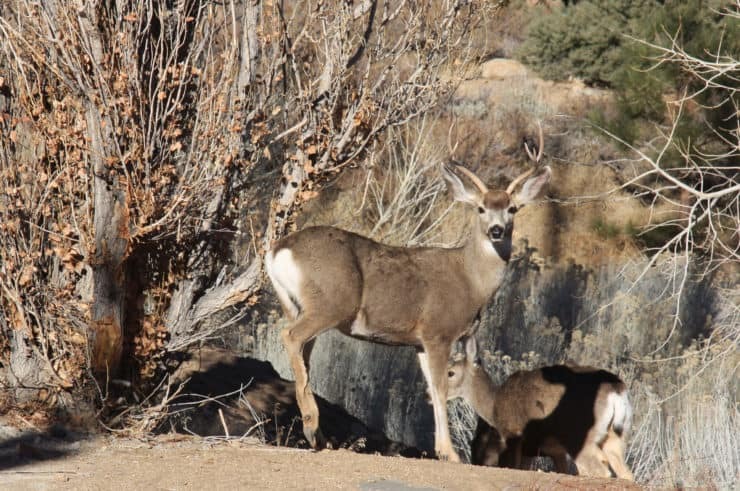 Unfortunately, Whiting Ranch has been the location of mountain lion attacks in recent California history, mainly because of the abundance of mule deer, and you’ll see lots of warning signs at the trailhead. I realize it’s scary but your chances of being attacked are incredibly miniscule. 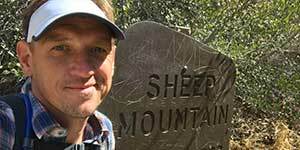 For peace of mind, I bring bear spray, which also works on mountain lions (and humans). 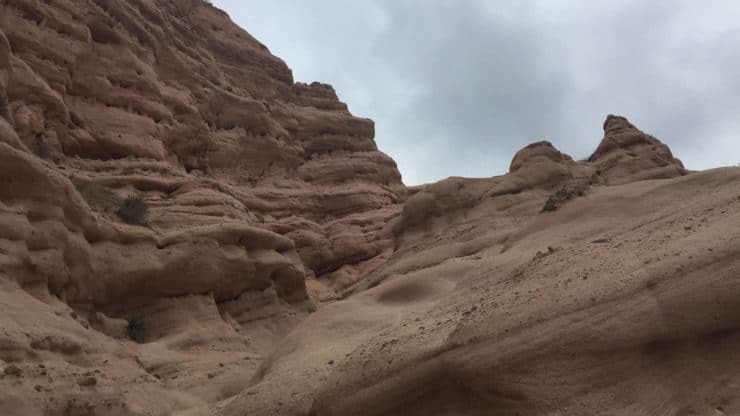 Please don’t let a fear of mountain lions stop you from doing the Red Rocks Canyon hike. Sunset is a great time to do this hike. When the sun is low, it hits the exposed sandstone red rocks and fills them with even more color.If you don’t hike it at sunset, come here as early as you can. 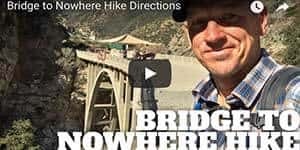 This hike is popular and gets crowded. 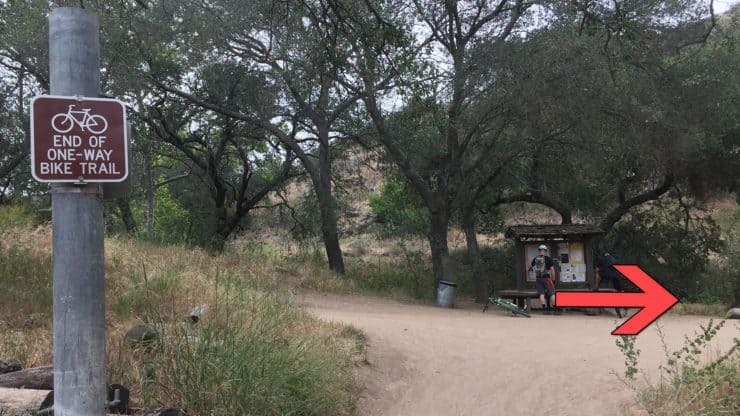 Where is Whiting Ranch Wilderness Park? 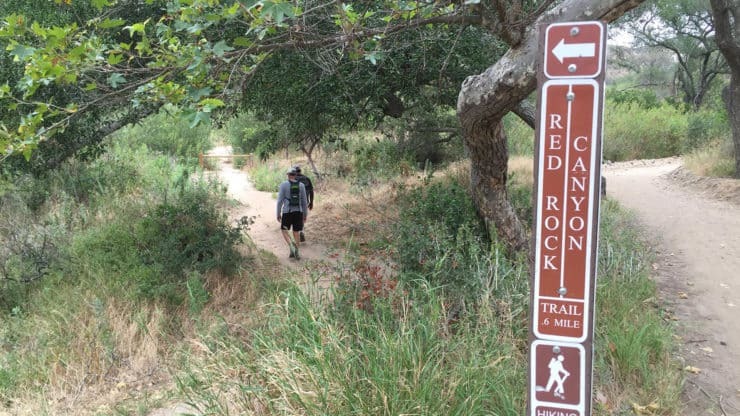 Use this address for the Red Rock Canyon hike trailhead: 26701 Portola Pkwy, Foothill Ranch, CA 92610. To park, pay at the kiosk in the lot and leave the receipt on your dashboard. If the parking lot is full, you can try the shopping center across the street. But I didn’t say to do that. 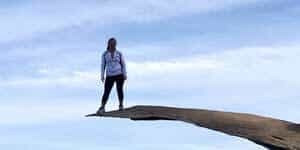 You don’t really need any special hiking gear to do this hike. Workout gear is fine for this one. Just make sure you have some water, it can get hot during the day. 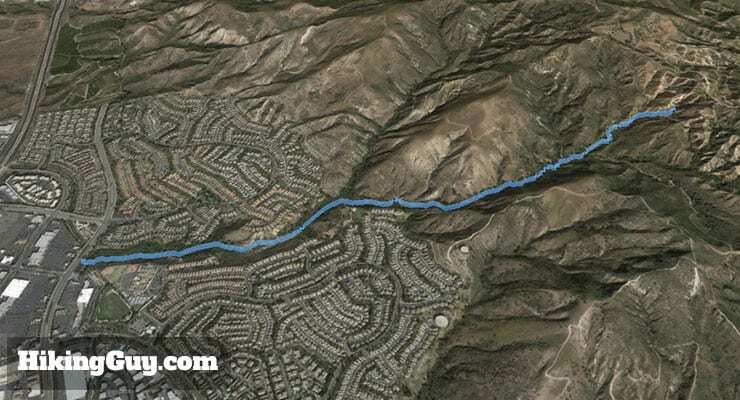 The hike winds it’s way up through residential neighborhoods on the Borrego Canyon Trail. After that, you’re in Whiting Ranch park proper. The parking lot has solar powered pay machines. Pay, get the ticket, and leave it inside your car on the top of your dashboard. 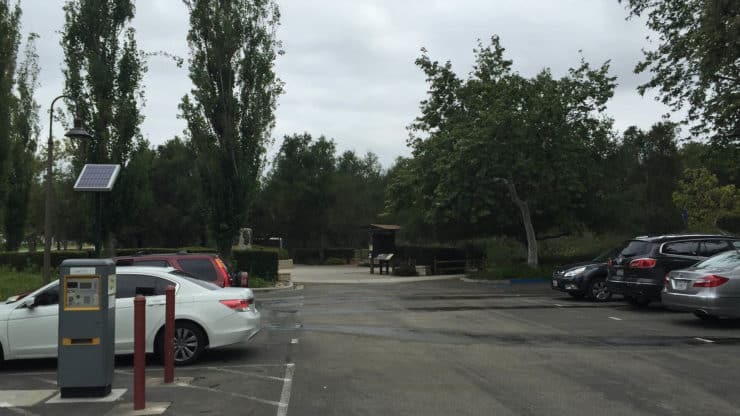 Walk to the end of the lot, where you will find water fountains, maps, and porta-potties. 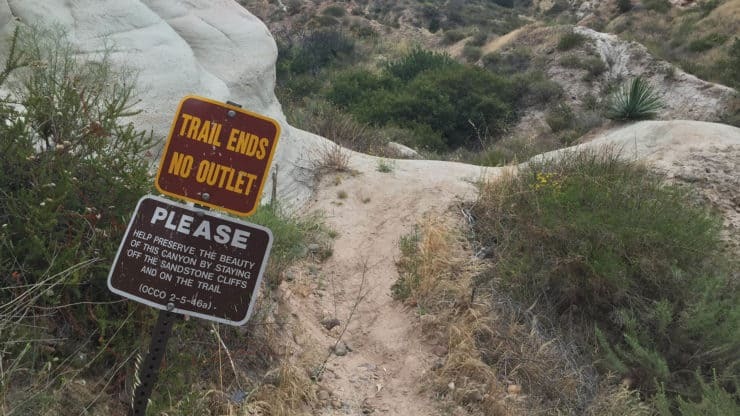 The Borrego Canyon Trail trailhead is obvious, it’s the only option. 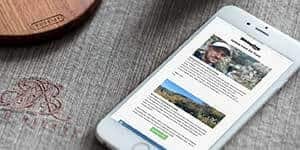 Start your hike here. 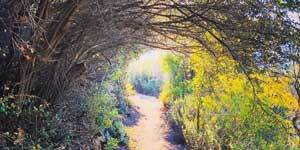 The Borrego Canyon Trail winds up through this narrow stretch of Whiting Ranch Wilderness Park. Just keep hiking straight and enjoy the shade of the oak trees. 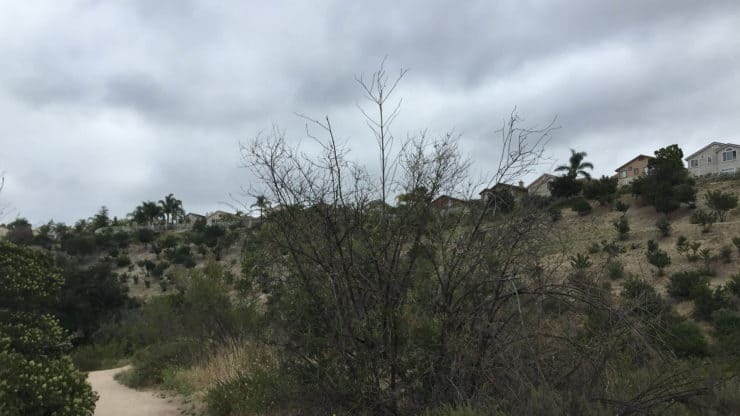 This section of Whiting Ranch is flanked by residential neighborhoods. 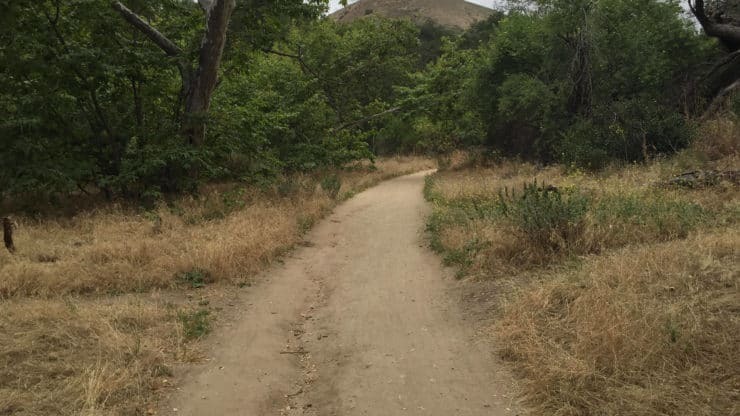 At about 0.5 miles, avoid the intersecting trail and continue hiking straight. 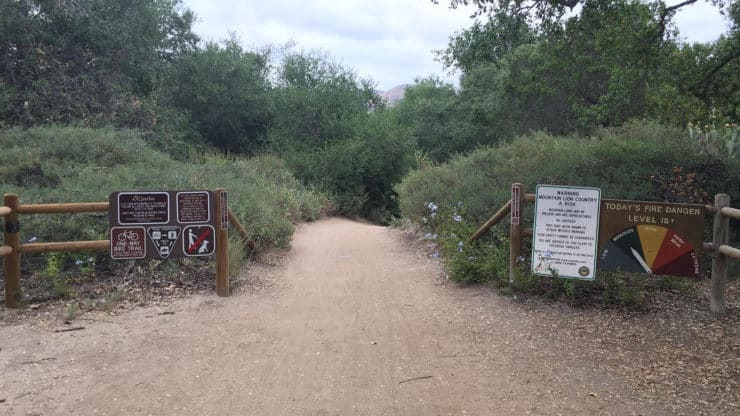 As you continue hiking up the Borrego Canyon Trail, there will be other small side trails, just continue hiking straight on the big trail. 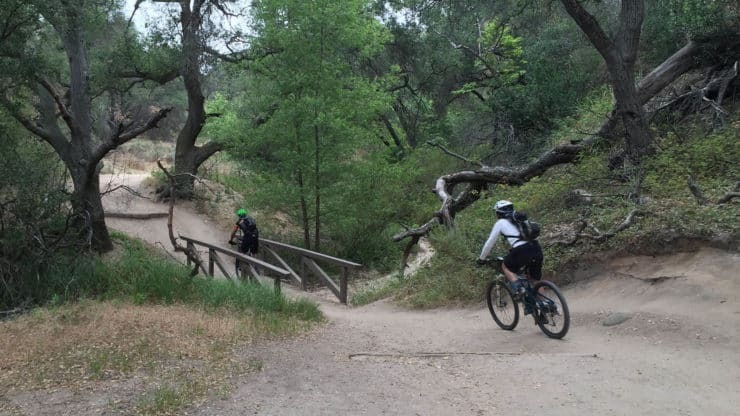 Watch out for mountain bikers coming from behind as you hike up Borrego Canyon Trail. It’s a one way trail for the mountain bikes. 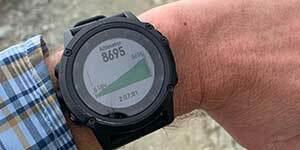 At about 1.5 miles you’ll arrive at a big trail junction. 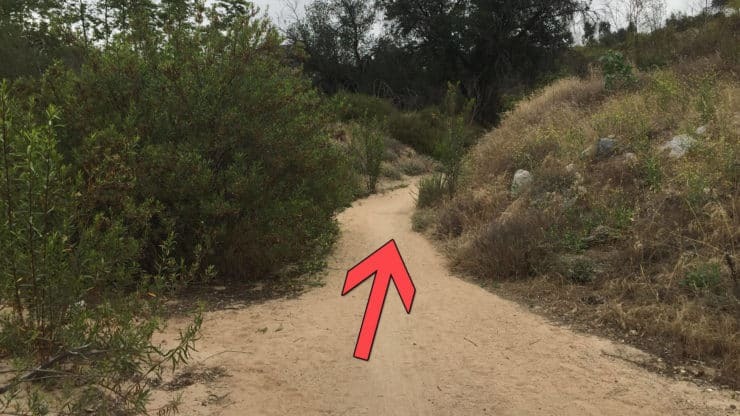 A board has the trail map of the entire Whiting Ranch Wilderness Park in case you want to refer to it. Hike to the right. 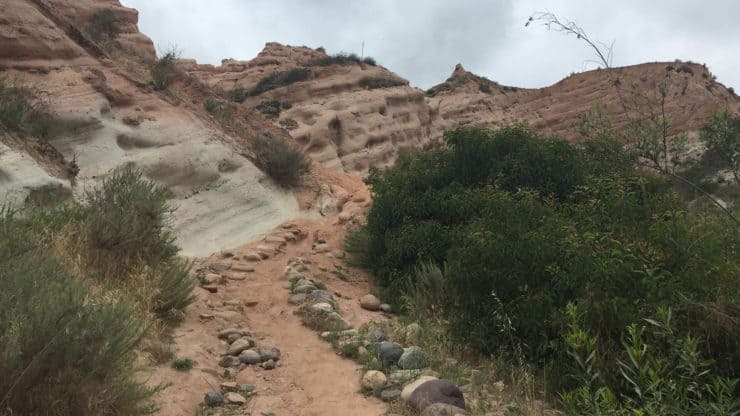 The trail winds around for a minute and you’ll see a sign for the Red Rock Canyon trail. Hike to the left onto the trail. 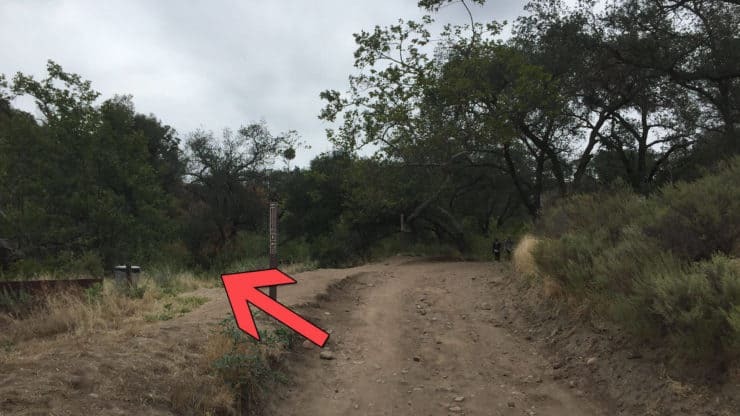 The trails at Whiting Ranch Wilderness Park are nicely marked with these posts. 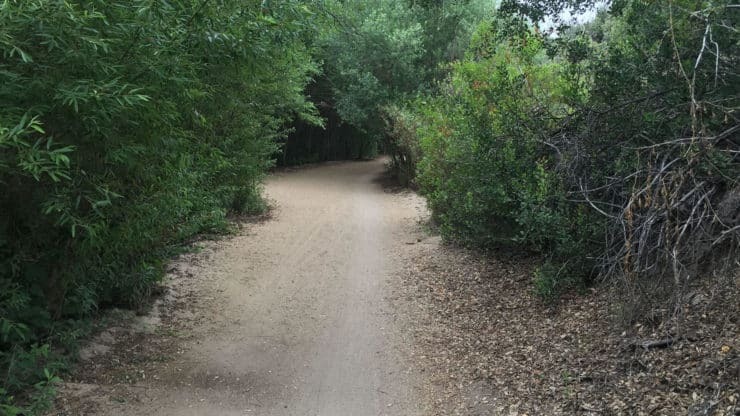 There are no bikes allowed on the Red Rock Canyon trail. 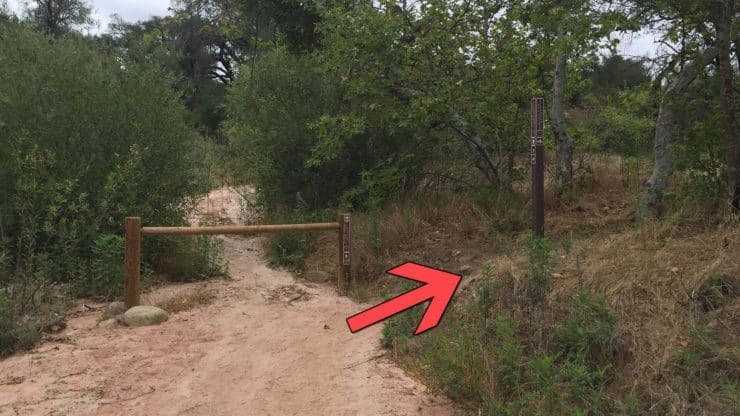 Hike to the right when you get to the gate. 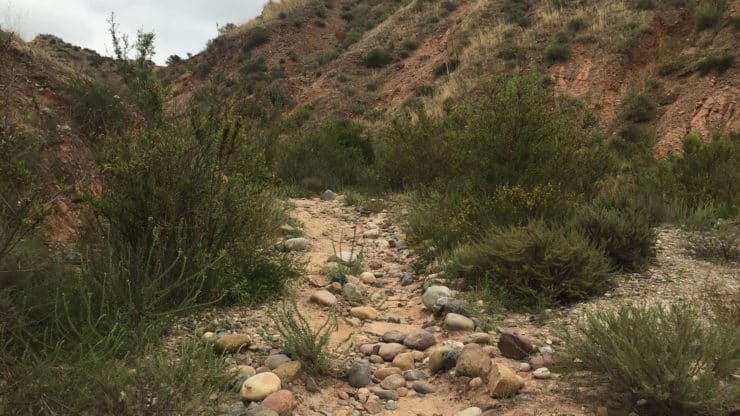 The trail goes on and off the stream bed as you hike towards Red Rock Canyon. 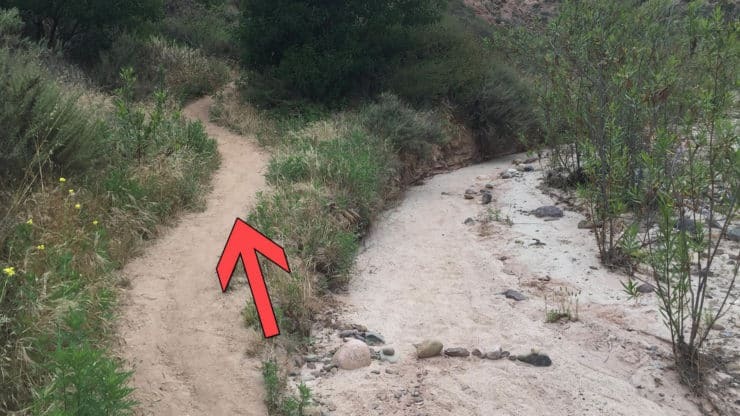 Keep an eye out for when the trail goes off of the stream bed. It’s easy to keep hiking on the stream bed since it looks like a trail. At around 2 miles, you’ll start to see Red Rock Canyon. Here you are at Red Rock Canyon! The trail dead ends here. Please respect the park and don’t hike past this point. Take some time to soak in Red Rock Canyon. When you’re ready, turn around and hike back the way you came.